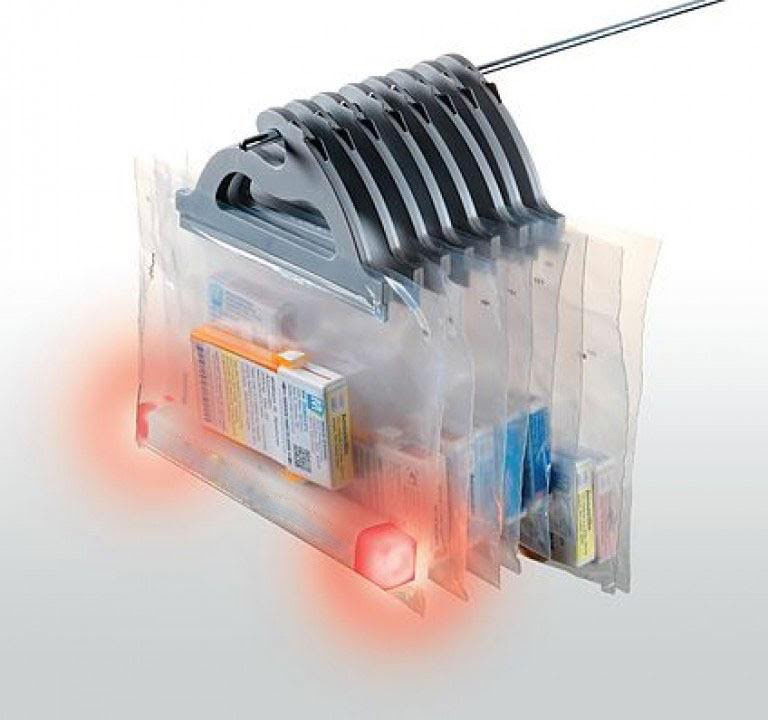 Our new will-call system is wireless, light guided, and works with any hang up bags. Whether introducing a will-call system to your pharmacy or replacing an existing system, SpotLight offers many benefits to your operations. Fix retrieval times, misplaced scripts, and return-to-stock while eliminating the need to alphabetize prescriptions. When retrieval times are cut in half, your customers experience shorter wait times, resulting in happier patients. 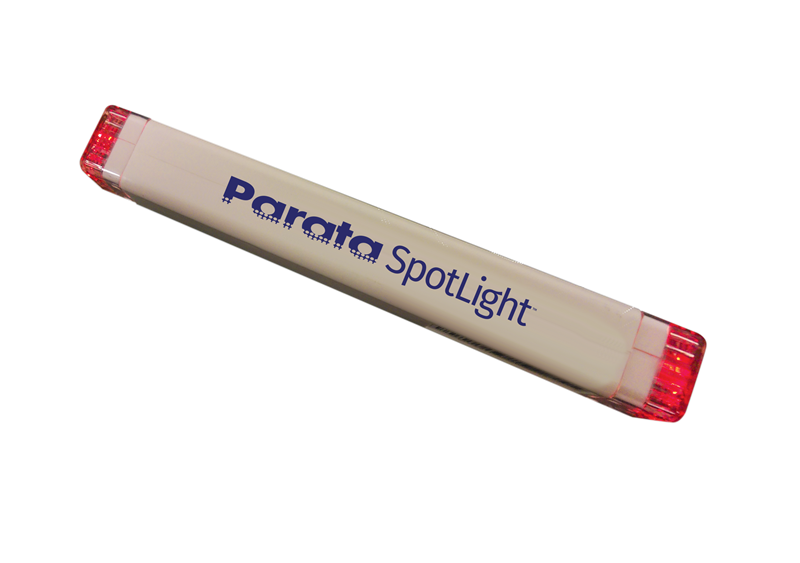 SpotLight installation is fast and easy — and will interface with your current pharmacy management system. Just scan the prescription and scan the SpotLight stick, and the two are automatically matched in the system. At the touch of a screen or by scanning a code, SpotLight activates the matching light bar to make retrieval faster and easier. No need to alphabetize or search through different staging locations. You set the allowable wait time, and SpotLight activates once the completed script has been waiting too long. 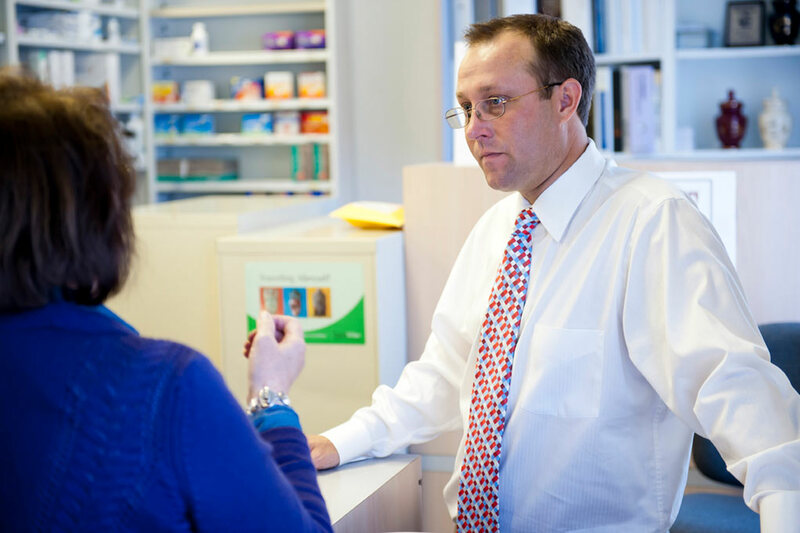 It's easy to spot which prescriptions need to be returned to stock. Ready to talk about improving efficiency at your pharmacy? Fill out the form to get started.